Jason Farago: You use the model of a book composed of chapters. But because you’re working through time, you know when you’re composing the later chapters what came before. R. H. Quaytman: Every artist thinks that way, I guess. As for me, though, I was disturbed by the speed of the art world, the amnesia about past shows. It seemed as if an artist’s career was too contingent on this speed and amnesia, and that the whole aspect of continuity and growth was devalued. Jason Farago: So then each work is inscribed into a larger chapter, and then beyond that into a larger book. Each painting connects to every other painting, but a painting exhibits a relatively stronger connection to the fellow works in its chapter. It’s not just a mess of connections; proximity plays a key role. R. H. Quaytman: In some ways it’s like a calendar, or a datebook with notes. But each different situation of an exhibition generates a different response. Over time reoccurring motifs develop: for example, the history of printmaking, textile history, work by other artists, portraits of people, archival photographs and occasionally actual texts. Many different chapters touch on these six headings. But the main goal was to break out of the idea of the painting as an isolated object. I had to make a syntax for these paintings – paintings that worked as adjectives or verbs or nouns, such that they can be placed among other paintings and produce meaning. The small, hand-painted paintings, which I sometimes call captions, can be thought of as punctuation marks. Jason Farago: At times the model is more literary, at time it’s more linguistic. R. H. Quaytman: It’s true. My studio is a library as well. I do a lot of research: every chapter has its own little library to go along with it. For my show at Gladstone Gallery in Brussels I made a letterpress print of Chapter 23’s bibliography. Jason Farago: Artists today can get nervous about boxing themselves into an individual medium. But you’re quite happy to call yourself a painter, even though you sometimes rely on reproductive strategies. The use of the silkscreen, though it has a long tradition in American painting, is in some fashion a way not to paint. R. H. Quaytman: For me the attachment to one medium is of primary importance. I do believe that subject matter must be generated and organic to the facticity and the history of that medium. Regarding silkscreen, I just don’t understand the attachment to the brush. It’s still paint basically; it just goes through a different sieve. It doesn’t go though hair, it goes through a screen. 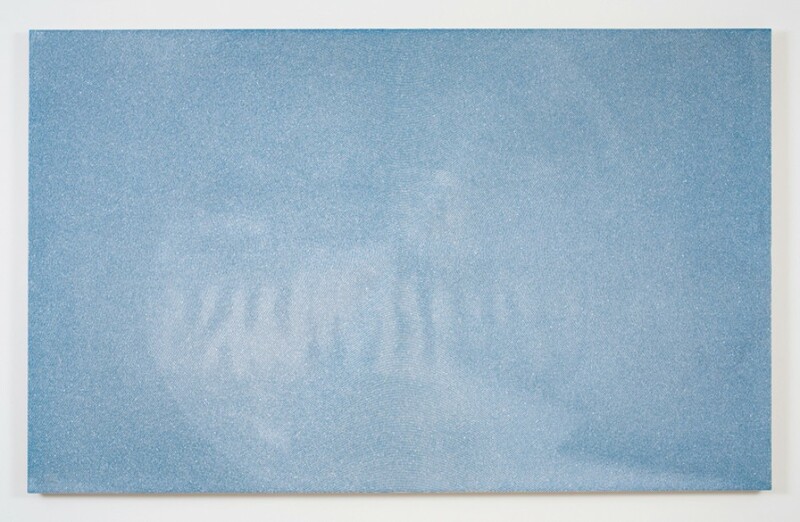 Richter, I imagine, uses a projector and a grid to do his photo-based paintings, and to a degree I wonder if that’s reactionary, because it’s still insisting on the brush’s claim to authenticity and skill. What differentiates a painting of an image from a photograph of an image is its status as an object itself before or on which an image appears. With a photograph the image comes first. In my paintings the brush mark is present. It is evidenced by the gesso on the panel and is important to the facture of the overall surface. There’s still a brush mark, but that mark contradicts the photographic image.